Think about it! How many are trying to disrupt the plans and purposes of God? Satan and all his fallen angels, and, with them, billions of disgruntled and deceived people. Yet, here we are, in the middle of Roman oppression, of sometimes corrupt religion, of weak and miserably misinformed people, but God is going merrily along with His plans as though there was no opposition at all. Only God can do this. He announces what He’s going to do and gives the whole universe a fair chance to fight it if that is what is wished. Then without violating anybody’s will, He just shows up and does exactly what He said He was going to do all along. This gives me hope. I have plenty of impossible conundrums in my life, but I also have a God who waltzes through them with ease. He’s going to do exactly what He said He would do. Yes, it is impossible. And yes, He will find a way. Answer from last time: The Apostle John spoke with Jesus on the Island of Patmos. New question: What mistake did the seven sons of Sceva make? I need this verse also. I need to know that Someone is in charge. Chaos does not rule. God does. In 1998, my grandmother passed away. She was 102 years old. She saw the rise and fall of the Soviet empire. She outlived Lenin, Hitler, Stalin. Her lifetime encompassed Kitty Hawk and Neil Armstrong. She was seventeen when she saw her first automobile. She never talked about these things, of course. Her heart was all about showing kindness in a quiet, unobtrusive way to little people, to obscure and forgotten people in her corner of the world. But when I wanted some perspective, I sat down and visited with her. The Gestapo, the KGB, the Bolshelviks were history, but this tiny quiet woman lived on. There’s a lot of noise in this world. But God’s rule outlasts the noise, and His people will endure. God will triumph. Answer from last time: Both Elijah and Moses appeared with Jesus on the Mount of Transfiguration. New question: Who talked with Jesus on the Island of Patmos? I know this is long, but I think you’ll enjoy. I originally wrote this when my oldest daughter was a little girl. I remember my first Santa Claus doubts. How could a fat man get down a skinny chimney, not just at our house, but at the houses of little boys and girls all over the world? I mean there must be hundreds. That didn’t bother me. The Easter Bunny always hid the baskets behind the TV. He was expendable. I nodded like I had known all along. But inside this revelation hurt. I wanted to believe that somewhere there was someone who cared enough about me to find out just what I wanted and to risk getting stuck in the chimney to bring it to me. I missed Santa Claus. He had been a good friend. I felt for him. I wanted to tell him it was okay. “We don’t have the money,” he said and so my brother and I prepared ourselves to face the sparse holiday my father had predicted. Yet, on the morning of the 25th, we came downstairs to find our stockings stuffed and the floor beneath the tree littered with presents. Santa slipped out of my life, and, as I grew older, a chilling realization slipped in—one that haunts me even to this day. In every city and scattered across the country, little ones, with hearts full of hope, hang up their stockings with care. But the man in red flies by their homes without stopping. In the morning their stockings look no different than they did the night before. These children don’t need to be told that there is no Santa Claus. They find out quite on their own. She knows the story well, but she asks me to tell it to her just the same. I start with the decree from Caesar Augustus that all the world should be taxed. I tell her that Joseph and Mary had to walk a long time. And when they got to Bethlehem, no place was found for them to stay. My daughter and I ponder that in the silence of our own thoughts. I suppose she thinks of how it would be to never find a McDonald’s with a Playland and how it would be to ride on a donkey without a car seat. But I think of Joseph. There he was, pushed out of his home by a senseless decree from a Roman emperor. He comes to the town that is rightfully his own, but no one greets him. No one takes him in. Worried, he asks around for a midwife and a dry, warm, comfortable bed for Mary. “Sorry,” people say. “Sorry, we can’t help you.” In the end, he takes shelter in a barn. And all he can offer the one he loves is a wool blanket and some straw. Then my mind goes back to my dad. I see him there at the kitchen table, sifting through a stack of bills, wondering where he will get the money to buy toys for his children. And for the little ones everywhere whose stockings are empty, I hurt. I wish I could shower gifts on them all. And I wonder, Where is the outrage from heaven? We switch to the hills around Bethlehem. “On the night Jesus was born,” I tell her, “in the hills, the sheep were sleeping—sleeping away. ’Baaa. Baaaa.’ They were dreaming sheep dreams. The shepherds were there, watching over their sheep. “All of a sudden, an angel appeared to the shepherds! They were afraid. My daughter always smiles when I tell her this. My little girl’s eyes get big as we look at the bedroom ceiling together. And I wonder to myself, Can she see what my eyes cannot? Can she see the heavens filled with angels? 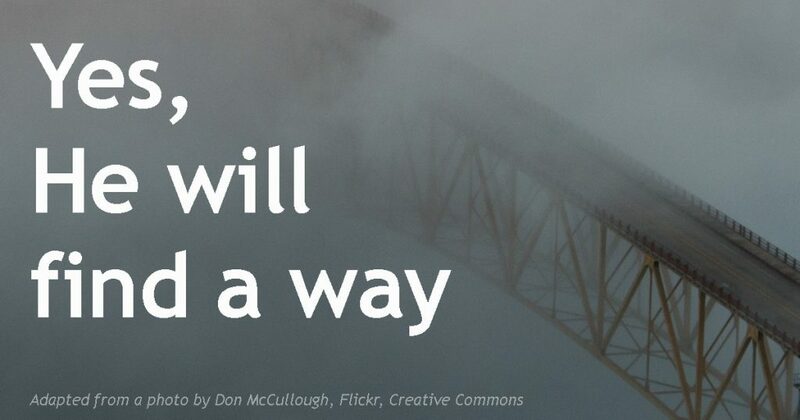 What would it be like to see the heavens open? I ask myself. But, though I try, I can see no vision of angels. Instead of angels, I see a man. But he’s not in a shepherd’s field; he’s in a hospital room. And he’s not singing. He’s dancing, holding his newborn daughter in his arms, filled with emotions he could never put into words. I see him there, spinning and twirling, and I realize that man is me. If I could, I’d bear presents to them all. Not because I think the trinkets I can give will satisfy Christmas needs. Instead, I’d bring gifts as tokens of a giving, caring God. And I’d pray that when the children finally unwrapped the paper, they’d find not a doll nor a toy truck, but rather a tiny baby, wrapped in swaddling clothes, lying in a manger. Answer from last time: Elijah and Enoch both entered heaven without first dying. New question: What do Elijah and Moses both have in common? They didn’t have a cradle. They didn’t have a crib. They didn’t have expensive baby clothes. But what they did have, they gave. What is a manger? It is nothing by itself. Yet, given to Christ, it has become a powerful message that has rocked every generation for centuries. 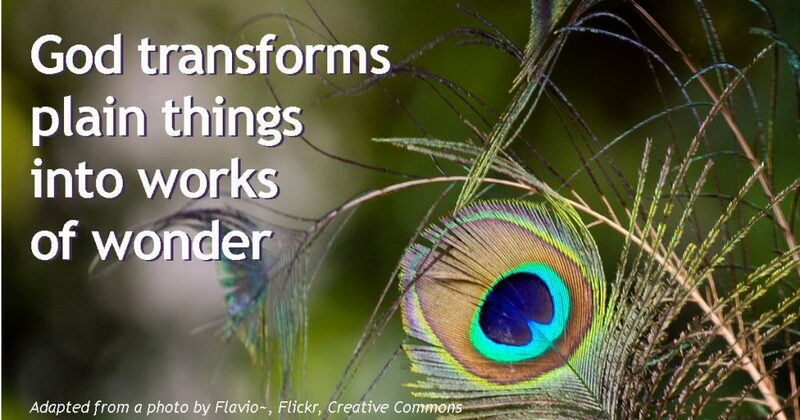 God transforms plain things into works of wonder. A picnic lunch became a miracle meal. A jar of oil became an investment property. What do we have? Our homes might not be spotless, our cars might not be fancy. It may seem like we have nothing to give but the plainest of gifts. But let’s not hold back! Let us give what we have to Christ. Our plain gifts, every one of them, is an opportunity for God to work wonders. Who knows what He might do! Answer from last time: A manger is an open box or feeding trough for farm animals. New question: What do Elijah and Enoch have in common? When I was a boy, I was enthralled by the bubble lights on our family’s Christmas tree. They were shaped like candles, with some sort of bubbling substance—alcohol perhaps—inside, boiling from the heat of the light bulb. 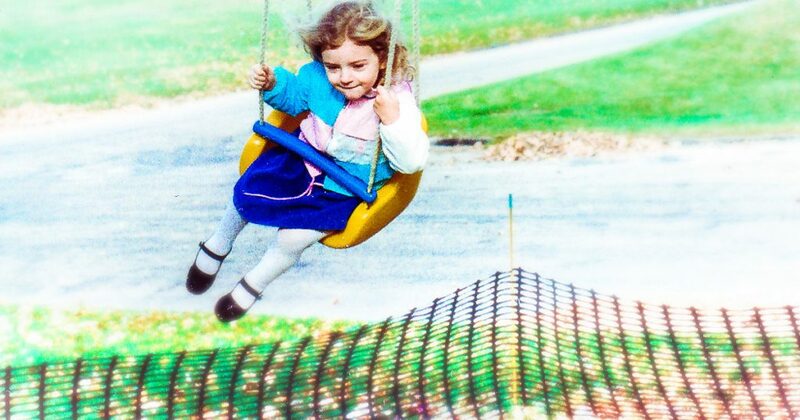 When I grew up, I wanted to buy them, but for many years I couldn’t find them anywhere. My guess is they were probably a fire hazard. I always wanted to share them with my children before they grew too old to appreciate something like that. There are many things that only children understand. One day when my children were young, we were sitting on the edge of a slightly raised platform at church. No one else was around, so we took off our shoes and counted all our fingers and toes. Adults understand that almost everybody has ten fingers and ten toes. But children understand the wonder of making that discovery. Innocence. Discovery. Wonder. These are precious things. It is no coincidence that I lingered so long by the Christmas tree when I was a child. For the only heart that is really ready to receive the Christmas Child is the heart full of wonder. To me this is precious: God has little time for our jaded sophistication, but has open arms for our wide-eyed wonder. Enjoy this season of wonder and awe! Answer from last time: As a three year old, Jesus probably lived in Egypt. New question: What is a manger? This is a switch. Throughout the Old Testament, God makes it clear that we are allowed only so close. In Exodus 19, for example, there were serious penalties for even touching the mountain where God was visiting. But here in Matthew, God chooses to do more than just visit. He chooses to move in with us, to hang out where we hang out, to live among us common folk. I had a professor in college who was like that. He brought his wife and kids to class one day. Then he invited any of us who wished to come over to his house. So I went, along with a few other students. Wow! They were nice. They were regular people, so much unlike those who showed up for class and then disappeared into that mysterious world of the rest of their lives. Why did God move in with us? The answer is clear. He wanted to be close. He didn’t want to go on being God at a distance. And so He did what it took to shorten the distance between us and Him. He remains God, beyond our understanding, beyond us in every category, yet Christ shows up as our elder Brother, as Family, as our Friend. Answer from last time: The Magi (Wise Men) visited Jesus at least several weeks and more likely up to two years after the shepherds visited. New question: Most likely, where did Jesus live as a three year old? Why is it that some can recognize the presence of Christ, while others miss it entirely? All my life I have been fascinated by these scholars—these “Wise Men” or the Magi. Who were they? How far did they travel? And how did they know? How did they know that this was no ordinary king? How did they know that the star signified more than just a new regime, but rather a king who needed to be worshiped? There was a star. Surely other people saw it. Yet no one else followed the star so far as we know. Why? These kings or astrologers or whatever they were arrived at city that was clueless. The greatest events of history were happening in nearby Bethlehem, but nobody seemed to know anything about it. It took someone from the outside to point it out. I don’t know the answers to most of these questions. I’m not sure God provides answers to them. But I do know that the One who was born under the star still wants to be found. He wants to be found by every part of us, including the parts that forgot to look. He wants to be found not only by the religious part of us, but also by the scared part, the tempted part, the angry part, the apathetic part, the hopeful part. Let’s take the journey to Bethlehem. Let’s find the One who came to put us back together. 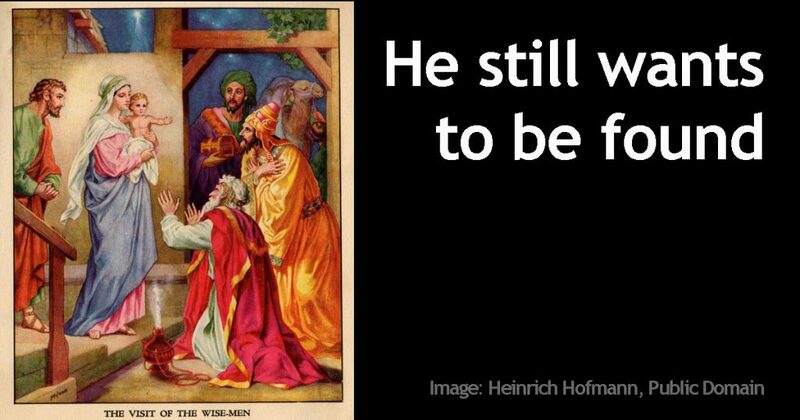 Answer from last time: Although the traditional answer is three, the Bible does not say how many Magi or Wise Men came to visit the child Jesus. 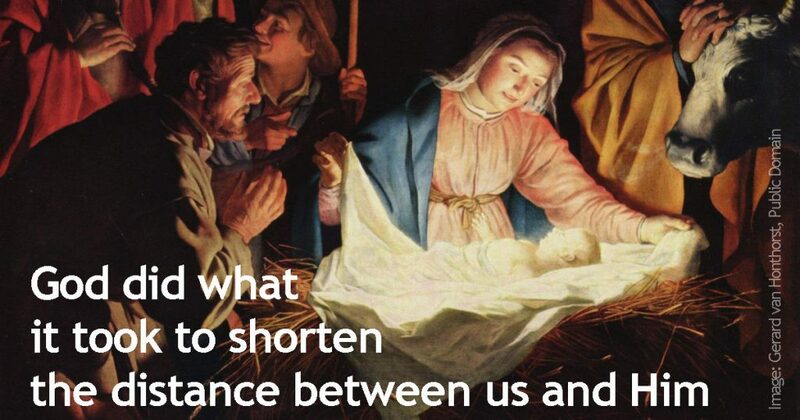 New question: How soon after the shepherds visited baby Jesus did the Magi (Wise Men) visit? The world is full of people who are disturbed by the news that a King has been born. Herod is so crazed with power that when he finds out the news that the Messiah has been born, his first response is to try to find him and kill him. The people of Jerusalem also somehow seem to know that this Messiah came to save them from their sins, and they wanted no such salvation. 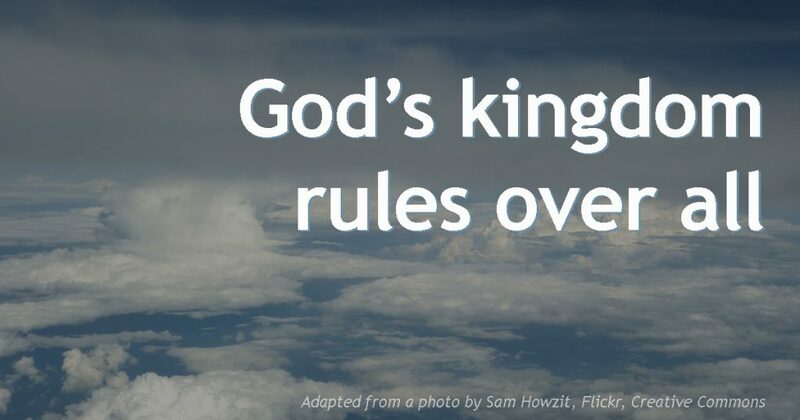 Why do we resist letting Christ be King? I suggest it’s because we believe a lie. Herod believed the lie that he could hold on to power and that power would protect him. But he died, just like everyone else, and all his power was stripped from him. Where are we unwilling to let Christ reign? In our fears? In our lusts? In our pride? In our greed? I’m not saying this is easy. It requires great courage to find the border of our faith—but that is where Christ takes us—out into the deep. But it is out in the deep that we let down our nets and discover what we never dreamed was there. Answer from last time: The Philistines captured the Ark of the Covenant and held it for several months. New question: According to the Bible, how many Magi or Wise Men came to visit the child Jesus? Truth: Forgiveness is not reconciliation. In an ideal world, we would always reconcile with those who hurt us. But we don’t live in an ideal world. We live in a fallen world. Sometimes reconciliation is possible; sometimes it is not. Forgiveness is based on truth. Reconciliation is based on trust. Forgiving others changes your heart. Reconciliation changes the relationship. Forgiveness depends on your choices. Reconciliation depends on the other party’s choices. Forgiveness is possible through Jesus. Reconciliation is sometimes impossible. Forgiveness does not automatically restore a relationship. For example, if someone harmed one of my children, I would look to Jesus for the grace to forgive. But I wouldn’t willingly allow that person to have any further access to my children. Relationships are built on trust, and if trust is not deserved, then a relationship cannot exist. Someone I care about was raped. Although I think forgiveness is an important part of the healing process, I did everything in my power to protect the victim from having any contact with the perpetrator. I also championed the prosecution of the man who committed the crime. 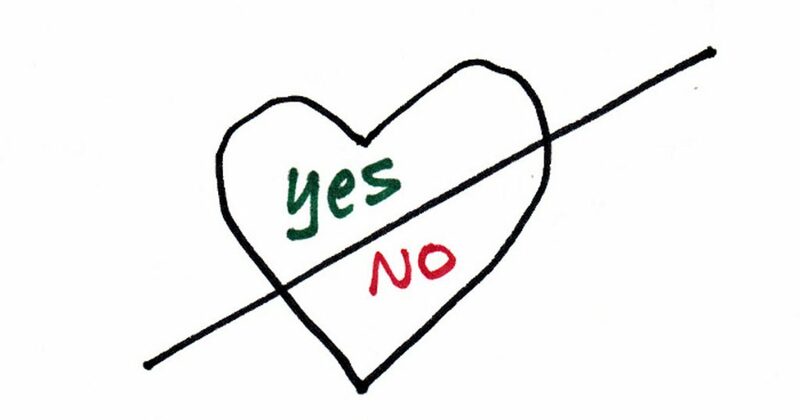 Simply because we may choose to forgive does not mean that the legal system should forgive. No. They have a different responsibility before God. It isn’t our job to dispense justice, but it is their job to dispense it. We are not vigilantes; we are citizens. Answer from last time: The prophet Samuel anointed both King Saul and King David as kings of Israel. New question: Who captured the Ark of the Covenant and held it for several months? 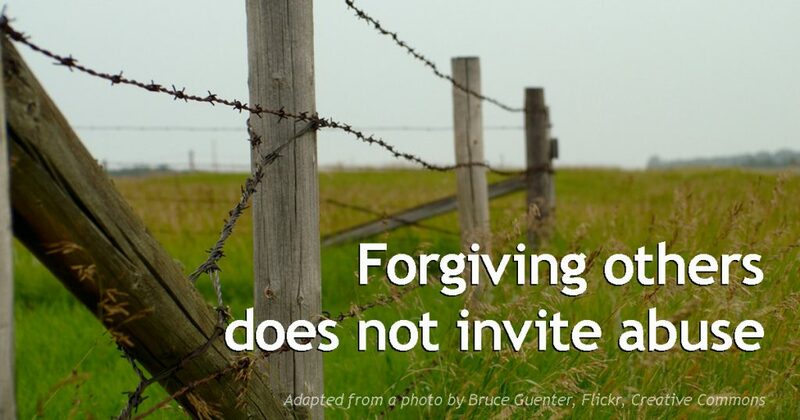 Myth #5: Forgiveness takes place when we declare the offender forgiven. Truth: The words “I forgive you” in themselves are not a magic incantation. These words do not automatically result in forgiveness. Forgiveness is sometimes thought of as an act of the will, summoning the willpower to say those words aloud. But true forgiveness goes deeper than that. When true forgiveness takes place, the anger isn’t buried; it’s gone. How is this possible? It’s only possible when Jesus grants us the truth that sets us free. That is, He shares with us God’s perspective on what happened and where we stand after we sustained the damage that we did. 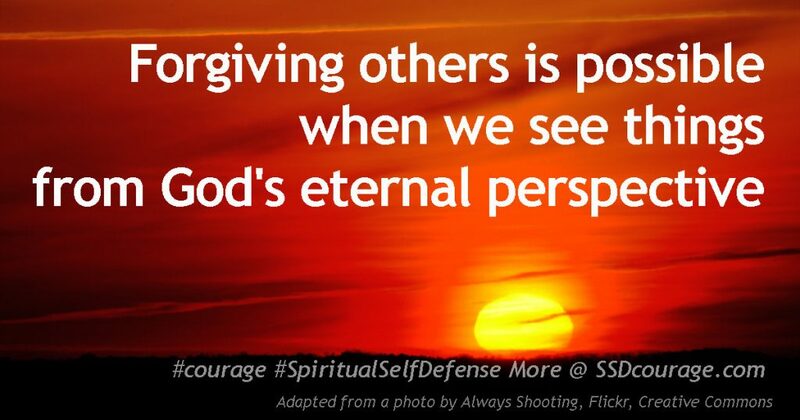 Once we see things from God’s perspective, forgiving others is easy. Until we do, it’s impossible. Answer from last time: Bethlehem is the hometown of King David. New question: King Saul and King David were both selected for their role as king by what Old Testament prophet?